The word Trinity is not found in the Bible, nor is homoousios which is the key concept used to define this doctrine/belief (1st ecumenical council at Nicaea in 325). Homoousios affirms that God the Father, the Son and the Spirit are of the same substance i.e., that God is made of God stuff! Great, that really explains it. Bottom line, we can’t explain the mystery of The Trinity. We wouldn’t even know that the One God is three divine Persons if God hadn’t revealed it to us. For example, we heard in the Gospel Jesus commanding his Church to baptise in the name of the Father, and of the Son, and of the Holy Spirit. I think it’s quite ironic that the Trinity is the most proclaimed reality of our faith, yet the most difficult to explain. We begin and end prayer in the name of the Father and of the Son and of the Holy Spirit. When we bless people and objects and events, we do so in the name of the Father and of the Son and of the Holy Spirit. When you came into church today, you blessed yourselves with water blessed in the name of the Trinity and made the sign of the cross in the name of the Trinity etc etc. What we can’t do is explain the mystery, but what we can do is twofold. First, we can describe very well the manifestations of God as three distinct Persons. Our faith was revealed by God the Father Creator; by the Word of Truth who redeemed us through the shedding of his Blood; and by the Spirit of Truth who remains with us to sanctify us. 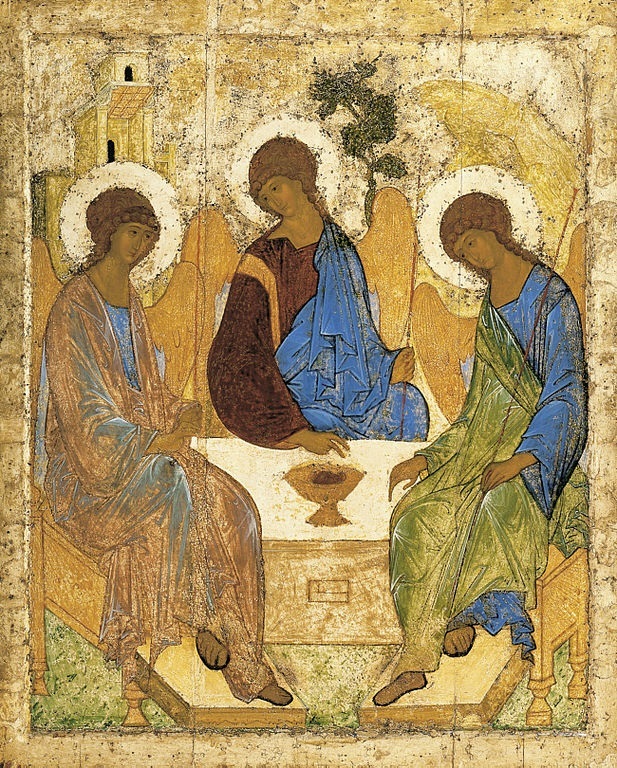 But even more importantly, we can make the Trinity an exemplar from which to model our lives. The Trinity is a perfect society. Each divine Person gives completely to the other, so we learn that we should give without reserve to each other. Also, there is complete equality in God. Each Person bows down to each other, to serve the Other. We learn that humility and service is meant to be the foundation of all relationships. So let us ask ourselves, how do we cope with the demands of others? Do we think we are better than others? Are we willing to serve all people? Today we learn that God provides model answers to all three of these questions. – to Spirit of Truth who indwells and sanctifies us. – to be prepared to serve with all of our heart. May this be to the glory of the Father, and of the Son, and of the Holy Spirit. Amen.